An 87 page follow up report/study to the original Fear, Inc. report that outed the funding of the Islamophobia network. Many forget that the first Muslims to celebrate Ramadan in America were African slaves. FIBA’s rule exclude basketball phenom Bilquis Abdul-Qaadir. New details have emerged about the FBI’s efforts to turn Muslim Americans living abroad into government informants. 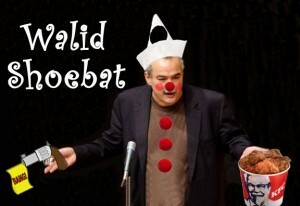 More Kookoo puffs from Walid “the fake ex-terrorist” Shoebat. The “Counterjihad’s” antiSemitic, Islamophobic conspiracy theory. The most propagandistic aspect of the US War on Terror has been rendering victims of invisible and voiceless. A new film, “Dirty Wars” takes this on. Sen was pushed to death by a woman who “hated Muslims”, as anti-Muslim bigotry in the US sinks to violent new depths. The murder of American staff over a hate film is an unmitigated wrong. But so are deaths caused by the US that go unremarked.